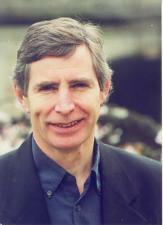 Professor Howard Griffiths is a Professor of Plant Ecology and a Research Group Leader at the Department of Plant Sciences. He is also the co-Chair of the Global Food Security Strategic Research Initiative and a Fellow of Clare College. Howard is committed to the understanding of plant productivity, which is the basis for life on Earth. His current work is focused in evaluating plant growth under marginal habitats for the selection of drought tolerant cultivars and perennial biomass crops. Stable isotope methods are used to evaluate metabolic and atmospheric transformations of water and carbon dioxide, coupling plant carbon uptake and sequestration into biomass as a function of water availability and use. Howard's dedication to unraveling fundamental plant processes that inform research and teaching in providing food and sustainable bioenergy sources, sequestering carbon, using water and maintaining diversity – namely through the active development of crop science links between India and University of Cambridge – can impact the lives of the world’s poorest 3 billion people.